It provides cabin crews with all flight and service delivery information centralized in one easy-to-access, web-based portal, tailored to the schedule of each individual employee. S4A Smart BRIEF CABIN has already won a number of prestigious awards. S4A Smart BRIEF CABIN and its sister application S4A Smart BRIEF CABIN Mobile won the ITCA Mercury Award in Processes and Systems category. 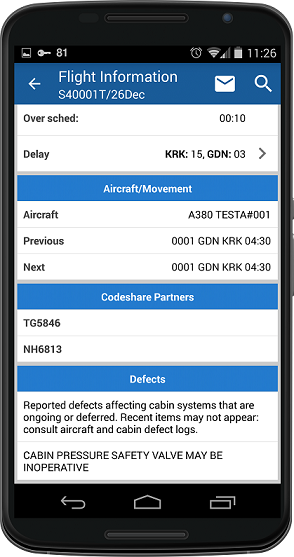 It also received an award for the Best Technical Innovation for Airline on AGIFORS meeting of the Crew Management Study group in Dubai and Flightglobal Webbies 2011 Award in the Best Mobile App category. All the necessary information is available with a single click. Static in-flight documents (such as emergency equipment checklists, position forms etc.) and critical communications are also incorporated into the system. S4A Smart BRIEF CABIN interfaces with flight operations, crew scheduling, reservation and catering systems, so there is no need to use external systems. 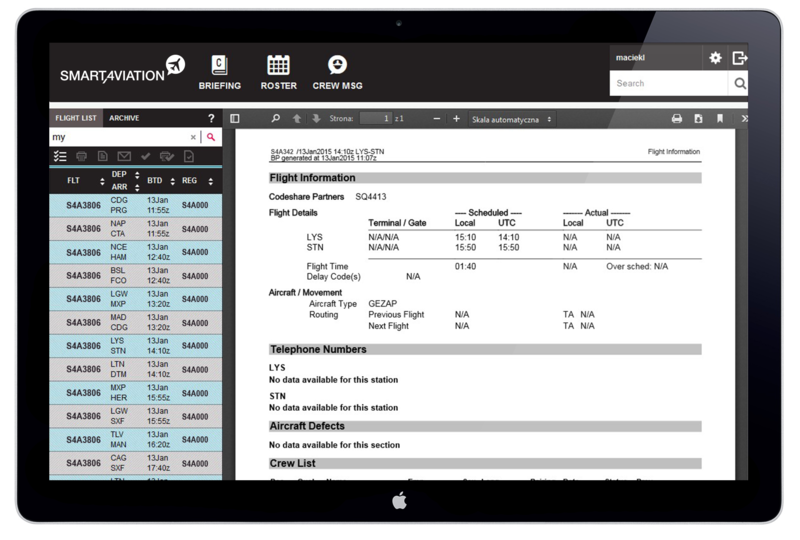 S4A Smart BRIEF CABIN Mobile allows cabin crew quick and easy access to all cabin and crew briefings and all flight & service delivery information. Passenger and loyalty information is accessible through an easy to use interactive seat map.